Nebraska is in the northern half of the United States. We get winter. Because there is no mountain range directly to the north (or south) of us, there is usually a slight breeze or gusty wind. In the late summer, it’s a hot wind. In the winter, well, it can be – stupid. Any time after the first of October, it can get down to freezing (32F) but usually only overnight or for a couple days. Leaves could still be on trees as fall (autumn). It has already snowed early in October. Ice storms can happen around then too. Halloween was cancelled one year. 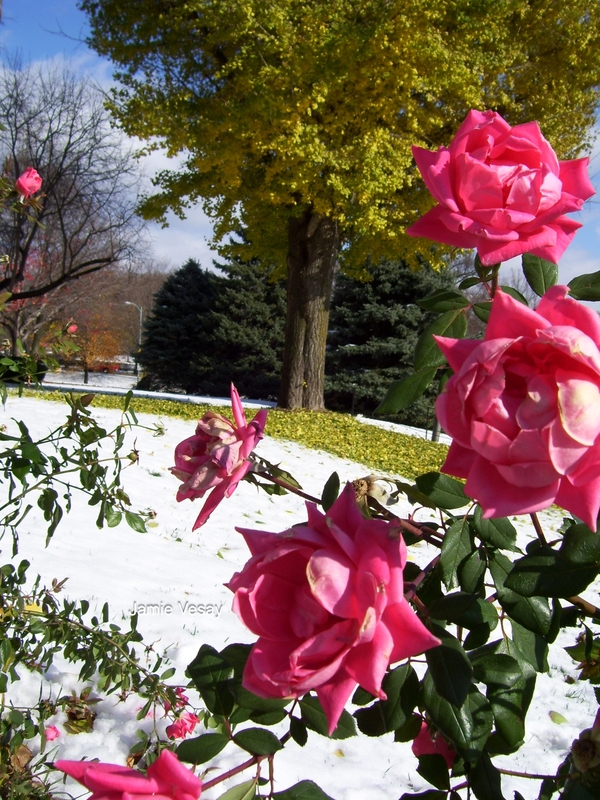 An early snow doesn’t usually hang around long because the ground is not frozen – yet. Snow in early fall. Four seasons in one day. Winter becomes semi official in late November and into December. Leaves go away and the grass turns brown. 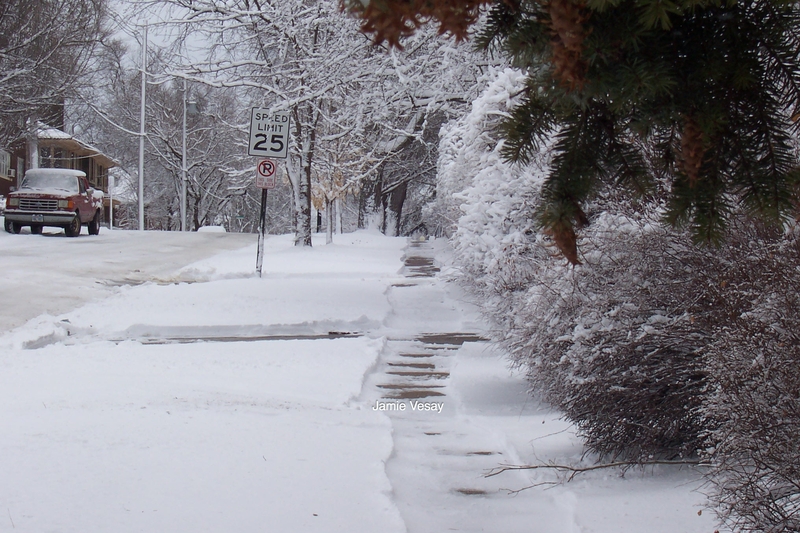 Temperatures could live near or below freezing for weeks at a time. January and February can be brutal. Although, last year, winter was extra mild with sparse snow and temperatures moderate. So it can be cyclical. 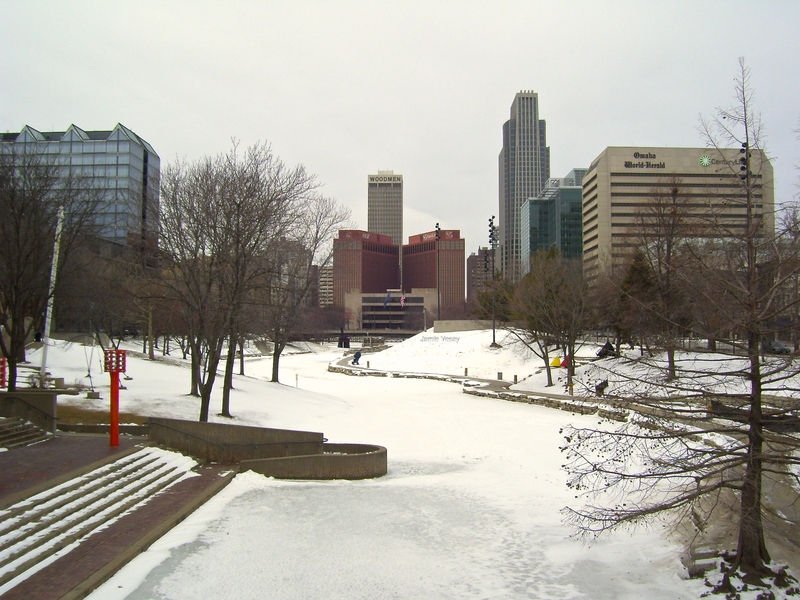 Snow in Omaha public park. There are evergreens here. Compared to other States, we actually don’t get a large amount of annual snow. We will get at least one big snow storm each winter. Big, as in ten plus inches. If this happens after the ground is frozen and temps stay cold for the rest of winter, that snow will remain until March. Some times, it will snow big early, then melt. 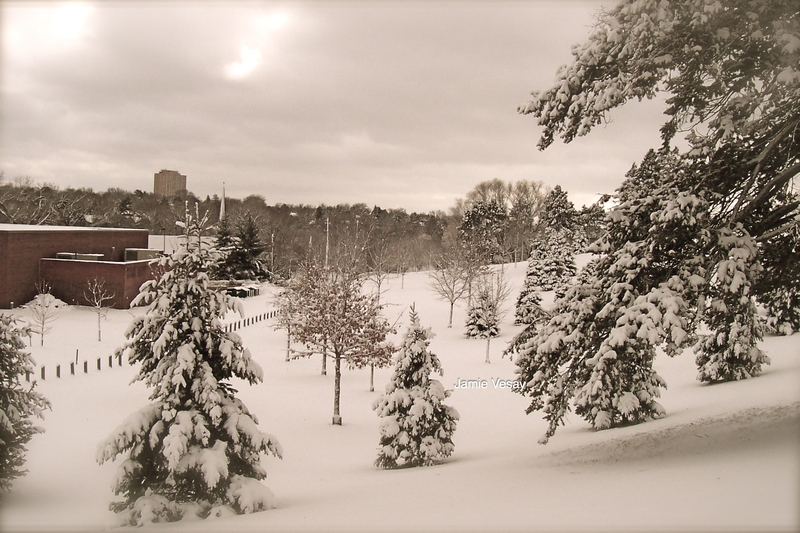 But then snow again in smaller amounts – two to three inches here, maybe five inches there. Snow in a neighborhood. Shovels and plows. If it has snowed on your set or on the way to the set or is just getting in the way – you’ll have to move it. 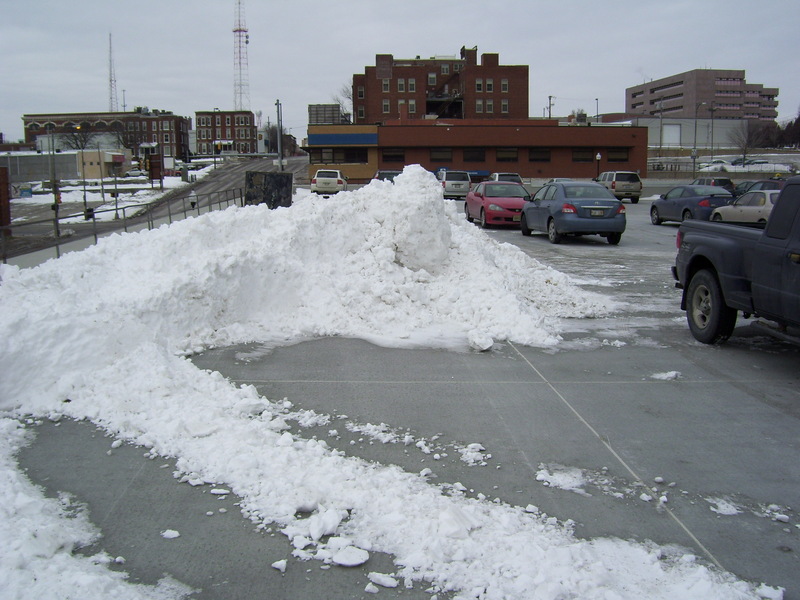 Sidewalks, entry ways, and parking lots all need to be cleared. Don’t forget if you’re moving inside and the snow you’ll drag indoors. Snow is water. Mix in a little dirt and things can get messy. IF snow is packed or ice has formed – driving, walking, or wheeling carts through snow or over ice can be DANGEROUS. Use rock salt or an ice-melt product. Your local Coordinator should know where to get a snowplow. Finally, if you’re shooting outside, you MUST STAY WARM. If you’re in the Locations department, it is your job to keep the crew warm. Wearing the right clothes is subjective. Layers, wool, thermal, and down are all great words to watch for on the label. In snow, I wear a layer of external nylon, like rain pants or even snow pants to keep the wet snow away. It also protects from the wind. Form follows function. HEATERS are essential. Depending on your budget, there are plenty of options in Nebraska. Propane powered bullet types and smaller space heaters are available through numerous rental places in Omaha or Lincoln. Consider patio heaters for a longer shoot. Remember NO PROPANE INDOORS. Watch for fire hazards with open flames. NEVER burn charcoal indoors! It will KILL you! Frankly, if it is below zero and windy – and you’re not dressed for it and there are no heaters, it will be uncomfortable. While we’d love to have you come shoot any time, just know about winter in Nebraska. Come and shoot any other time of year too. Until then, look at the warm side. It’s not impossible. And spring will be here any day now. Have fun. Stay warm.